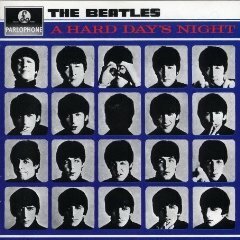 A HARD DAY'S NIGHT was the first Beatles album of all-original material, and the first to feature George Harrison playing his Rickenbacker electric 12-string guitar (on the opening chord of "A Hard Day's Night," for instance). The distinctive sound of the 12-string inspired countless guitarists including Roger McGuinn and David Crosby of the Byrds. The film from which these songs hail remains a classic combination of happy 1960s naivete and nascent hipster wit. Many of the most important rock bands to emerge in the latter half of the '60s came into being because of A HARD DAY'S NIGHT's irresistible vibrancy. The tunes flow like the finest red wine, as the title track leads to the glorious harmonica of "I Should Have Known Better" and the powerfully poignant "If I Fell."